"The Rooster Who Loved the Violin is a children’s story brought to life by the collaboration of two artists with a flair for the fantastic. 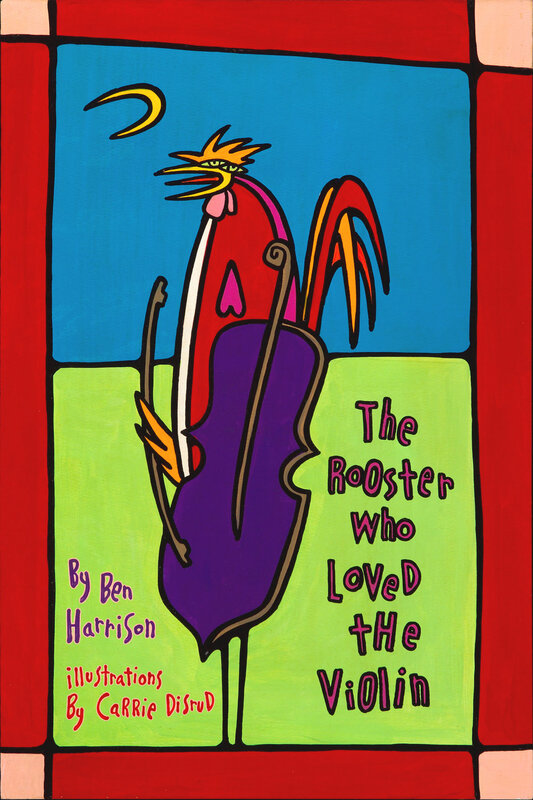 Ben Harrison sweeps readers through the lyrical tale of a violin player at an Italian restaurant and his struggles with an overly enthusiastic rooster, while Carrie Disrud’s vibrant paintings envelop viewers into the charming fable’s rich, island setting of Key West. This book will appeal to those who are too young to read and kids who are just getting the hang of it. It also includes a longer supplemental text about the real rooster encounter that inspired Ben to write the story, as well as fun photographs of local chickens around Key West."